4 When Should You Use A Cooler? Whether you’re a camping enthusiast, a fisher, or you simply pack your own lunch to work, you have to admit that using coolers has made out lives easier. Thanks to their long-lasting cooling capacities, using coolers gives us the possibility to spend more time doing what we love without having to worry about eating spoilt food or drinking lukewarm beverages. Here at Cooler List, we reviewed the best coolers on the market according to their types. Moreover, we separated the coolers depending on their performances and we made lists of the best-suited models for camping, fishing, kayaking, everyday use, and more. Last but not least, we compared the best products of the most renowned cooler manufacturers to see which one performs best in each category. Without further ado, let’s take a look at the best 10 coolers and how to choose the right model for your needs. Dimensions : 19 x 14 x 15"
Dimensions : 10 x 18 x 12"
Dimensions : 20 x 16 x 10"
Dimensions : 12 x 2 x 5"
Dimensions : 8 x 12 x 9"
We start off this list by presenting one of the most useful coolers for everyday use. 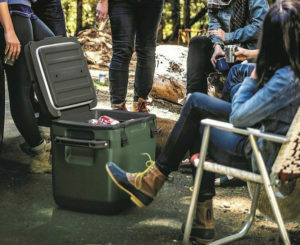 The Roadie 20 is a compact cooler that’s small enough to carry comfortably for a long time while being spacious enough to fit your lunch, some drink cans, and some snack at the same time. Despite its small size and compact design, the YETI Roadie 20 will withstand everything you put it through thanks to its rotomolded construction. Moreover, thanks to its low-maintenance necessities, this cooler is suitable for many scenarios, from fishing to beach-going and more. 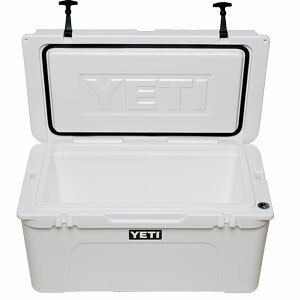 The soft-sided cooler produced by Polar Bear Coolers is one of the best models in its category. This cooler is roughly the size of an average gym bag, so it’s large enough to hold plenty of provisions for a short trip. One of the things that impressed us about this model is that it’s actually capable of keeping your drinks cold for a long time. This cooler can hold up to 26 drink cans with enough ice to keep them cool for up to 36 hours, depending on the ambient temperature. 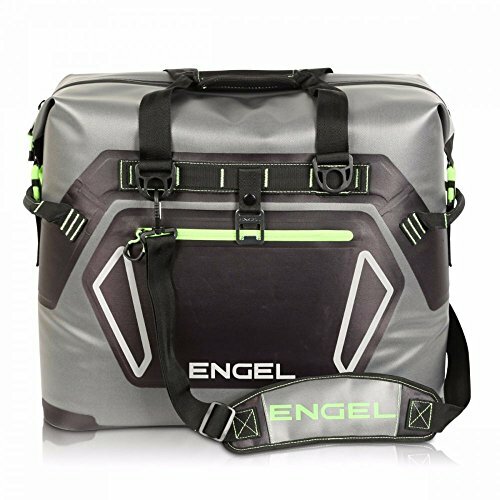 The Engel HD30 is a great cooler. Even though this is a soft-sided model, thanks to its high-quality construction and the vacuum valve technology it uses, the cooler is capable of keeping your drinks cold for up to 4 days at a time. The great thing about this model is that it has a well-thought design. The cooler has a waterproof outer shell and a leak-proof lining, and it uses a waterproof zipper that will improve its effectiveness. And the best part is, this model comes at a decent price, and it only costs a fraction of its competitor’s price while being equally or even more effective. When it comes to keeping your provisions cold for a long time, it’s difficult to find a cooler that’s more effective than the YETI Tundra. Provided you pack enough ice and store it out of the sun, this model will keep your provisions cold for up to 10 days, allowing you to fully enjoy your camping trips or maritime excursions. Moreover, this model also offers a lot of storage space. So not only will using the Tundra keep your food cold for a long time, but it will also allow you to pack enough food to last several days. The Barebones Living soft cooler is a great model for those who are looking for a personal cooler they can use in an urban environment. This model looks like an ordinary bag, so it won’t attract attention on your daily commute. 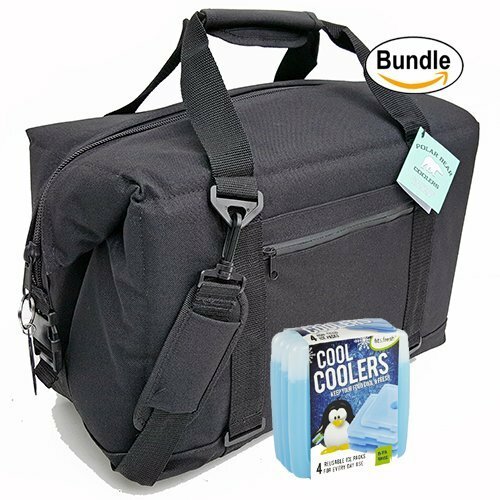 Despite looking like a regular bag, this soft-sided cooler will keep your lunch fresh and your drinks cold for up to a day using a single ice pack, so it’s very effective. We liked that this cooler comes with dry storage pockets that will allow you to pack eating utensils, napkins, small accessories, and gadgets. 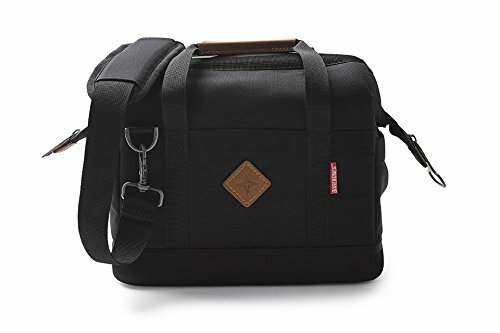 This will give you the possibility to pack everything you need for work in a single bag. Dimensions : 9.4 x 10.2 x 7.5"
Dimensions : 20 x 7.3 x 30"
Dimensions : 18.5 x 20.3 x 20.5"
Dimensions : 15.5x 11.5x 11.5"
Dimensions : 25.3 x 19 x 18.5"
The Coleman 9-can cooler is one of the most popular models available on the market. Thanks to its small size and good cooling period, this is a great model for those who are looking for a personal cooler. One of the great things about the Coleman cooler is that it can hold a lot of stuff, despite its small and compact design. The insulated compartment is large enough to hold food casseroles and drink cans, and the external pockets will allow you to pack water bottles, eating utensils, and everything else you might need for a short trip or for spending a day at work. 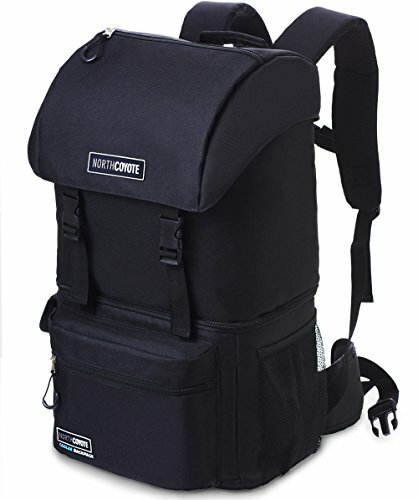 The North Coyote backpack cooler is the perfect solution for those who are looking for a high-quality camping cooler. This model offers a large storage space, and its high-quality insulation lining will keep your provisions fresh for several days without leaking any water. We were impressed by this model’s well-thought design. First of all, the backpack is highly portable, even when it’s full. Thanks to its padded shoulder straps and the adjustable sternum and waist straps, you will have no problems carrying the backpack. Second, this model comes with many pockets, so you will be able to use it to pack more than food when you’re going camping or hiking. There’s no sense in straining your back to lift a cooler if you’re planning to pack a lot of provisions. It would be way easier to use a rolling cooler. The Igloo Ice Cube cooler comes with a set of high-quality wheels and a telescopic handle, making it highly portable and easy to transport. This cooler has a storage capacity of 60 quarts, and it will easily hold enough food and drinks to last for several days. In addition to this, the Igloo also offers a good cooling capacity, and it’s capable of keeping your provisions cold for up to 5 days. 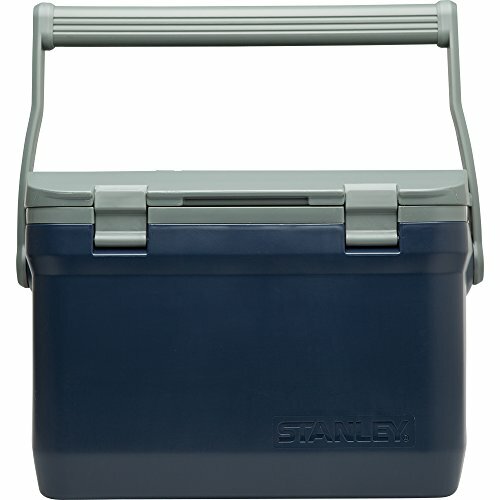 The Stanley Adventure is a good choice for those who are looking for a high-quality durable cooler. This model has a metal construction, and its sturdy enough to double as a chair if you’re in need of one. One of the things we liked about this model is that it’s large enough to accommodate a lot of provisions. Whether you’re planning on going on a fishing trip or you simply want to enjoy some quality time at the beach with a group of friends, this model will be helpful. When you fill it with enough ice, the cooler can keep your provisions cold for 36 hours or more. 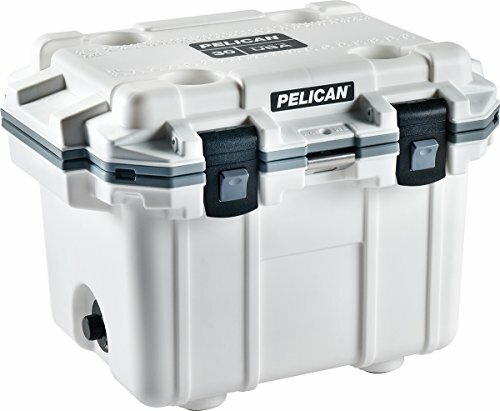 The Pelican Elite 30-quart cooler is a strong and reliable model, perfect for those who want to spend several days enjoying nature. This model is large enough to hold a lot of provisions, but it’s still small enough to be carried by a single person, even though it can get heavy when it’s loaded. We were impressed by the cooler’s sturdiness. This model has a high-quality rotomolded construction that will withstand the eventual bangs and drops without any complaints, and it also keeps your provisions cold for a good time. When it’s properly loaded, the cooler can keep your drinks cold for up to 10 days. As you could see in our short reviews, coolers come in different shapes and sizes. Each type of cooler is better suited for one or more scenarios. Let’s take a quick look at the different types of coolers and what each of them is good at. Backpack Coolers – Backpack coolers are some of the most portable models. Thanks to their backpack design, these coolers are very easy to transport. The backpack coolers rely on more than shoulder straps to increase their portability. These models use waist and chest straps to distribute the weight of your provisions across your whole back instead of straining your shoulders. Soft Sided Coolers – Soft-sided coolers are lightweight models that rely on sturdy fabrics and high-quality linings to keep your food fresh and your drinks cold. Don’t be fooled, though. The soft-sided coolers can keep your drinks cold for several days at a time, so they are very effective. Moreover, thanks to their lightweight designs, these models are more versatile than the heavier coolers. Metal And Steel Coolers – Metal and steel coolers are made to last, and make no mistake. Some of these coolers have been around for decades, and they will be around for decades more. The steel and metal coolers are not only sturdy and durable, they have a good cooling capacity as well. Electric Coolers – Unlike the rest of the coolers, the electric ones rely on an external power source to keep your drinks cold, not on ice or freeze packs. This might seem like a disadvantage at first, but it can be really helpful for those who spend a lot of time in a vehicle, such as truckers, trailer owners, or mariners. The electric coolers will also maintain a low temperature in the cooling compartment when they’re not plugged in. Floating Coolers – Using a floating cooler might seem fun at first, but it’s actually necessary for some situations. People who enjoy kayaking often find themselves lacking the necessary space to pack a cooler on their kayaks. This is where a floating cooler comes in handy. Instead of taking up valuable space, the floating coolers will simply float behind your boat or kayak. Coolers With Speakers – Coolers don’t always look like dull boxes. In fact, some coolers can help you get the party properly started. The coolers with speakers will keep your drinks cold and play your favorite music at the same time. Portable Cooler Bags – You might think that all coolers are portable, but that would be a mistake. Some large models are so heavy when they’re loaded that not even two people could carry them comfortably. The portable cooler bags are large enough to accommodate one or two meals and some drinks, but still small enough to be easily carried on your commute. Rolling Coolers – Coolers can be really heavy at times, making them difficult to transport. 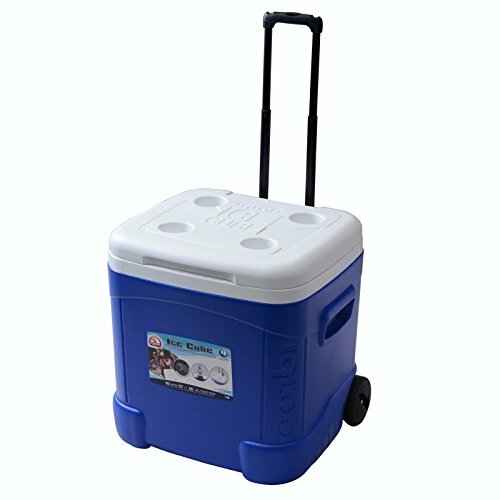 However, the rolling coolers come with sturdy wheels and handles that allow you to pull or push the cooler instead of lifting it. Collapsible Coolers – One of the problems people face when buying a cooler is storing it when it’s not in use. Most coolers are large and bulky, so they take up a lot of storage space. The collapsible coolers are made out of soft materials that can either collapse on themselves or fold so you can store them easily. Rotomolded Coolers – The rotomolded coolers are the high-end models that deliver the best possible performances. When you’re in need of a cooler capable of keeping your provisions cold for a long time, a rotomolded cooler is the way to go. Some of the rotomolded coolers can keep your food fresh and your drinks cold for up to 10 days or more if you pack enough ice and you store them properly. Small Ice Chests – You don’t have to pack a lot of food if you’re only be gone from home for a few hours, but that doesn’t mean you should drink warm beverages or risk eating spoilt food. The best small ice chests will keep your lunch fresh and your drinks cold when you’re going to work. Like with all products currently available on the market, there are some brands that are renowned for producing high-quality models. Some of them are also renowned for being pricey, while others offer similar performances at a cheaper price. We do not consider that a cooler should be recommended as being good just because it’s produced by a certain manufacturer. That’s why we decided to compare the best products of several competitor brands to see which one is the better model for each category. In our Engel VS YETI article, we take a look at the best large, medium, and soft-sided models produced by these companies and compare their performances. In the Pelican VS YETI article, we compare some of the largest coolers currently available on the market, along with two large and two medium-sized models. Finally, we take a look at some very similar models in our RTIC VS YETI article. In fact, these last coolers are so similar, these companies settled their differences in court. However, some might argue that out of all the products we chose for this friendly competition to determine which is the best cooler, half of them are rather expensive. And that’s right. 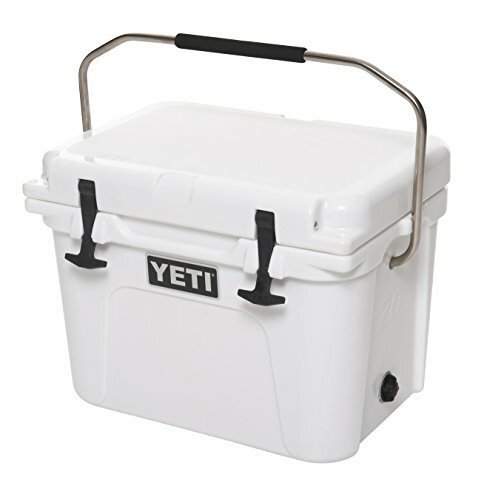 Even though it’s renowned for the quality of its coolers, YETI is one of most expensive, if not the most expensive cooler manufacturer out there. This is why we decided to select a few high-quality products and include them in our YETI like coolers & cheap alternatives list. All the products included on this list offer similar performances to some of YETI’s most popular models, but they come at a fraction of the price. When Should You Use A Cooler? Using a cooler clearly has its advantages, but when should you actually use one, and which should you use for every occasion? Well, you could use a single cooler as a multi-purpose tool for multiple scenarios, but there are some coolers that are better in some situations than others. Let’s take a look at some scenarios that demand a certain type of cooler. Lunch Coolers – Lunch coolers don’t have to be too large. In fact, the lunch coolers are large enough to hold your lunch but small enough so you can easily carry them on your daily commute. You don’t need a large cooler, especially if you know how to pack lunch. However, using a lunch cooler that looks just like a toolbox might make you the punchline of all your coworkers’ jokes when you go to the office, so a lunch cooler has to look good. Moreover, a personal cooler doesn’t have to keep your food cold for a long time unless you work long shifts, so a lightweight model that uses insulating lining instead of foam might just do the trick. Beach Coolers – Some people might say that every cooler is suitable for beach going, and that’s not far from the truth. Most coolers will keep your drinks cold when you’re at the beach, but you will have to carry another bag for your towels, flip-flops, sunblock, and other accessories. The beach coolers are specially designed for this occasion, and they will provide an ample storage space for both your drinks and your towels. These models are lightweight and portable, and only their lowest compartment is insulated. The largest compartment is usually made out of breathable canvas or mesh that will allow an ample air circulation. This compartment is perfect for storing your towels, sun lotion, and other accessories, and some models come with small zippered pockets that can hold your valuables. The air circulation will prevent your wet towels from smelling bad, and it will also prevent mold from growing into your cooler bag. Camping Coolers – One of the most important features of a camping cooler is portability. Whether they’re small or large, camping coolers have to be highly portable. When you’re going camping, you’ll most likely have to trek for a while before finding a good camping spot, so using a cooler that offers a good portability is a must. Besides being portable, the camping coolers also offer a good cooling capacity. These models are not always big since you don’t always spend several days camping, but all of them must keep your food fresh and your drinks cold for at least a day. However, no matter how effective your camping cooler is, you should still make sure you know how to pack a cooler safely for camping. Kayak Coolers – Kayaking is great for your body and for your mind, but it’s rather difficult to plan a good kayak expedition. When you plan one of these expeditions, you have to take everything into account, including how to pack and transport your provisions. One of the downsides of most kayaks is that they offer a limited storage space. Their shape and design make them perfect when you want to paddle through rapids, but they don’t leave out a lot of unused space. This is why the kayak coolers are specially designed to take up a small space or not to take up any space at all. Golf Coolers – Golf is an expensive sport, and eating and drinking on the golf course can increase your expenses significantly. Even though most golf courses look down on people who bring their own food and drinks when they’re golfing, cooler manufacturers offer you the possibility to lower your expenses without being seen. The golf coolers are specially designed to be stealthy. 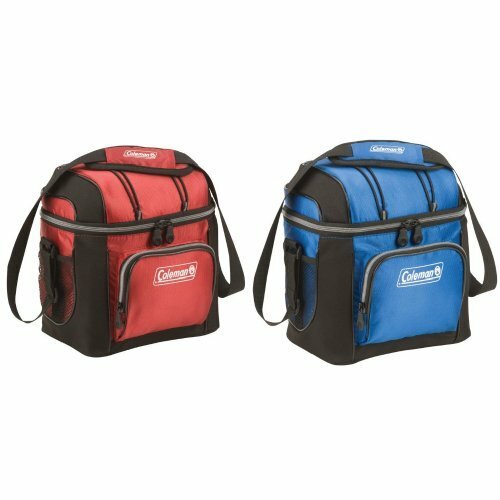 Whether they fit right into your golf bag’s club compartment or they match the size of one of your bag’s side pockets, these coolers give you the opportunity to bring your own drinks and snacks on the golf course. Fishing Coolers – Even though it’s tremendous fun, fishing is rarely a clean activity. In fact, most of the times, fishing is anything but clean. Whether you dirty your hands by handling the lure or your catches, you’re more likely to have your hands dirty than to have them clean. This is why the fishing coolers have a low maintenance. These coolers will usually be large enough to accommodate enough food and drinks to last for one or more days, but you can also use them to store your catches. If you plan to eat what you catch, you should know how to properly handle and store your fish. Marine Coolers – Marine coolers have to be large. Even if you’re not planning a long sea voyage, it’s always better to have a large cooler that’s not fully loaded than to have a small one that can’t hold enough provisions for the whole length of your trip. The marine coolers are not only large, they can also be secured on your watercraft. Unless you’re used to sailing on lakes, you know that the weather at sea can change quickly, and you also know how important it is to secure your belongings to prevent them from slipping from one side to another when the sailing conditions are rough. Most marine coolers offer at least two anchor points you can use to secure them to the ship. Despite the fact that each type of cooler has a different design, most models are improved by the following 10 features. Good Cooling Capacity – Whether you’re planning on using the cooler for several hours while you’re at work or you’re planning on using it for several days while you sail around the coast, a cooler has to offer a good cooling capacity. Now, most people confuse a good cooling capacity with a long one, and that’s an understandable mistake. However, the cooler you use doesn’t necessarily have to be able to keep your food fresh for several days. If you’re looking for a personal cooler, finding a model that will keep your food cold for several hours might be enough, and it will definitely cost less than finding one of similar size that can keep ice from melting for a longer time. On the other hand, if you’re looking for a marine cooler, it might be better to find a model that’s capable of keeping your provisions fresh for more than you intend to navigate. Having a cooler with a long cooling capacity will not only allow you to store a lot of provisions for your voyage, but it will also allow you to store plenty of catches and keep the fish fresh until you reach the shore. Good Storage Capacity – Despite the fact that it’s usually good to overestimate the storage capacity you need for your cooler, this only applies to the models you would use for a long period of time, such as the camping, maritime, or even fishing coolers.If you want a personal or a lunch cooler, it’s always better to find a model that will hold enough provisions for one or two meals, depending on how long your work shifts are. One of the best approaches is to find a model that’s large enough to fit the food casserole you’re used to using and one or two drinks besides, but it’s small enough to carry comfortably.On the other hand, a beach cooler has to offer a good storage capacity, but the best models offer both an insulated and a dry storage compartment. This will allow you to pack some drinks and keep them cold while you’re sunbathing, but it will also offer you the possibility to store your tower and other beach accessories in the bag. Effective – A cooler should be able to do what you need it to do. This can vary from situation to situation, but that’s why there are so many types of coolers available on the market. Each of them is better suited for a certain task. For example, if you’re a camping enthusiast, the best coolers for you would either be highly portable or very secure. Backpack coolers are great because they use shoulder, chest, and waist straps to distribute the weight across your back, making them very portable. On the other hand, rotomolded coolers are very strong, and some models are even bear-proof. Moreover, rotomolded models are very strong, and you can use them as improvised tables or even chairs without worrying you’ll break them. Aesthetically Pleasing – Coolers have come a long way from the large and bulky models of the olden days. In fact, some of the modern coolers look so nice, most people won’t be able to tell they’re coolers at all. Using a cooler that’s aesthetically pleasing can be an advantage for those who are looking for models they can take to work.However, aesthetics don’t really matter when you’re camping or when you’re sailing, so it would be better to find more effective models than better-looking ones in these cases. Cooler Weight – The cooler’s weight will influence its portability, sometimes in a significant manner. The higher the cooler’s weight, the less portable it will be. Small coolers are less affected by this trait, as they tend to be lightweight. However, the weight of a large cooler will greatly influence its portability. Even though they might offer a similar storage capacity, two coolers can have different weights, making the lighter one more portable. Handles And Straps – The cooler’s handles and straps increase its portability. The more carrying possibility the cooler offers, the more portable it is. As a rule of thumb, soft-sided coolers are more portable than hard-sided models because they’re easier to carry. These models usually come with handles and a shoulder strap, making them easy to carry even when they’re loaded. On the other hand, hard-sided models usually come with top or side handles, depending on their storage capacity. Models that use padding on their handles and those who rely on built-in handles are slightly more portable than their competitors. Wheels – Rolling coolers are some of the most portable models you can find, albeit with a limited use. Despite the fact that their portability is increased thanks to their wheels, you can’t roll a cooler on uneven ground, so these models are generally less suited for camping or even fishing. Good Insulation – A good cooler uses a good insulation. Not only will the insulation prevent the cold air from entering the cooler, but it will also prevent the water resulted after the melting of the ice to leak out of the insulation compartment. Another important insulator in the larger coolers is the lid’s gasket. The lid of a large cooler is most often the least insulated or more vulnerable component of the cooler because it can either not close properly or it can be affected by the sun’s warmth. Whether the cooler uses a thick foam insulation or a thin insulated layer, the insulation has the same role. Secure – High-quality coolers are secure, no matter what kind of design they have. Soft-sided coolers rely on zippers to keep your provisions safe while steel and rotomolded coolers rely on latches. As far as zippers are concerned, one of the things you should look for is for them to be leak-proof. Not only will a leak-proof zipper prevent the water from leaking out of the insulated compartment, but it will also keep the warm air from entering the compartment, increasing the cooler’s effectiveness and cooling period. As for latches, you should look for coolers that come with reliable ones. Whether they have a T-shaped design that allows them to secure the lid, or they use a push-button system, the latches have to be secure enough to keep the lid’s gasket in close contact with the cooler. Low Maintenance – Whether they’re soft-sided or hard-sided, coolers are seldom clean after you use them. This is why the best models have a low maintenance. The soft-sided models that have a low maintenance usually rely on removable interior linings to make them easier to clean. Instead of cleaning the whole cooler, you can simply remove the dirty lining, wash it, dry it, and install it again. As far as hard-sided models are concerned, most of them have a low maintenance because they’re waterproof. Once you empty them, you can simply clean them using water and a mild detergent. Durable – Durability is also one of the features you should look for in a high-quality cooler. Even if you don’t spend a lot of money on a cooler, the unit should last for long enough to be worth your investment. However, if you spend a lot of money on a cooler, you should expect it to last for years, if not decades. Easy Storage Or Versatile – One of the problems people encounter when buying a cooler is storing it when it’s not in use. Some models eliminate this problem altogether by giving you the possibility to collapse or to fold them, making them smaller and easier to store. Other models are either too large or made out of hard materials that make folding them impossible. However, even though some models are not easy to store, they’re more versatile so you can use them in more ways than one. Metal and rotomolded coolers are sturdy enough to support your weight, so you can use them as improvised chairs or benches. Most soft-sided coolers can be used to keep your food warm, not only to keep it cold. This will allow you to use them with good results when you pack your own lunch or when you pack food for friends and family. Other models, usually those better suited for kayaking, can be used as dry storage pouches, so you can use them to carry your accessories when it’s raining. And then some models work as speakers as well as coolers, so you can use them to play music from your phone. How Can I Improve My Cooler’s Effectiveness? One of the best ways to extend your cooler’s effectiveness is to pre-cool it and your provisions before use. If you store your cooler in the fridge along with the provisions the night before you use it, you can improve its effectiveness considerably.Another good way to do this is to use frozen water bottles or freeze packs instead of regular ice. Once the ice starts to melt and enough water accumulates in the cooler, the rest of the ice will melt at an accelerated rate. Using frozen water bottles or freeze packs will prevent this from happening. Can I Use Dry Ice With My Cooler? You should always read the manufacturer’s instructions before using dry ice with your cooler. Some models can be used with dry ice, while others can’t. It’s actually dangerous to use dry ice with some models, as the pressure inside them can build up. Do I Need Accessories For My Cooler?Some coolers come with accessories, others don’t. Some of the best accessories you can use with your cooler are those that allow you to arrange your provisions. Whether they’re trays or baskets, these accessories can be really helpful. As you could see in our cooler reviews and the comprehensive buying guide we prepared, there is no such thing as the best cooler. Each cooler is better or less suited for different scenarios, so finding the right one can be problematic at times. This is why we created detailed lists and buying guides for every type of cooler available. Moreover, we also created a list for each of the scenarios where using a cooler is not a luxury but a necessity. You might be tempted to believe that the top coolers are the ones produced by the most renowned manufacturers. If you are, we encourage you to take a look at our comparison lists. Not only did we select the best models of each manufacturer, but we compared them with their competitors to see which one is better. Cooler List Copyright © 2019. All Rights Reserved. coolerlist.com is a participant in the Amazon Services LLC Associates Program, an affiliate advertising program designed to provide a means for sites to earn advertising fees by advertising and linking to amazon.com.